With rebates of up to $17,500, geothermal heating and cooling is within reach for more Massachusetts homeowners with the help of EnergySmart Alternatives. 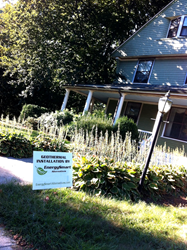 Geothermal installation at 3-story Victorian home in Winchester, Massachusetts. Massachusetts is very pro-geothermal with its sales tax exemption, generous rebates through the Mass CEC, and no-interest loans through MassSave. Since 2010, EnergySmart has installed over 200 geothermal heating and cooling geothermal systems in 54 communities across Massachusetts. For additional details on the available incentives for geothermal installations visit EnergySmartAlternatives.com.